We are proud to service homes and businesses anywhere in Long Island, NY, including Suffolk, Nassau, and Queens counties. Our technicians have received the training and certification necessary to provide quality restoration services using proven methods and the best cleaning products and equipment of the industry. Our main disaster restoration and cleaning services include water damage restoration, fire damage restoration, smoke and puffback cleanup, mold remediation, and content cleaning and pack-outs among others. You can reach us 24 hours a day at (631) 206-6808 for emergency services in Long Island, NY. Nothing causes more property damage than water as excess water or moisture can find its way inside in many ways. Weather conditions like rain, humidity, and natural floods can lead to excess water indoors, as well as leaks, broken appliances, plumbing issues, overflows, and other issues. It is very dangerous to ignore water damage because it gets soaked into absorbent building materials where it can cause physical damage that will eventually lead to structural issues. Mold growth is another common result of water damage, making it important to act fast. RestorationMaster provides complete water damage restoration services in Long Island, NY that include structural drying and dehumidification. Our technicians will contain the spread of the damage and remove all excess water and moisture with our advanced drying equipment. When a large amount of standing water enters your property, the structural elements of your building, as well as your personal belongings, electronics, important documents, etc., are at risk of sustaining damage. To make matters worse, if you do not respond rapidly, the damage will only spread. At RestorationMaster, we provide complete flood damage restoration services to homeowners and business owners in Long Island, NY, to return affected areas and items back to their original condition. 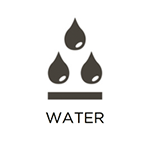 We do this through our professional-grade water extraction and drying equipment, sanitation solutions, and restoration methodologies. 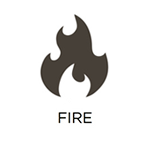 The occurrence of a fire is a constant risk in homes and businesses. Fires are among the most dangerous disasters because they can quickly engulf your entire property and put all those inside at risk of injury or worse. You must evacuate the building and call the fire department immediately, and you cannot hesitate to call a professional for restoration after the fire is put out. Secondary damage from smoke and soot after the fire may exceed the damage caused by the fire itself. RestorationMaster provides fire and smoke damage restoration services for homes and businesses in Long Island, NY that have been affected. We respond immediately to help stop the spread of corrosive byproducts and begin the cleaning to help prevent permanent damage. Smoke and soot from anything from a small fire to furnace puffback can cause significant damage in your home or building. These materials are corrosive and if the affected surfaces and objects are not quickly restored, the damage from the smoke and soot can become permanent. Regardless if you have smoke damage from a fire or soot damage from your furnace, you need to act quickly to have it cleaned up. RestorationMaster provides smoke and furnace puffback cleaning services in Long Island, NY to effectively clean up soot damage. We use state-of-the-art cleaning products to reverse the effects of smoke and soot, and we can also remove smoke odors. Mold is a very dangerous and complicated problem to have in your home or business. It typically occurs as a result of water damage or excess moisture, and it can quickly spread throughout the building, causing serious damage and increasing the risk of related health effects. 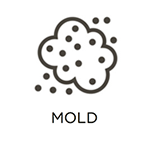 You must react to mold growth immediately to help prevent serious or even permanent damage, and reduce the risk of allergic reactions or infections. RestorationMaster provides mold remediation services to remove mold from homes and commercial buildings in Long Island, NY. Our technicians can completely remove all mold growth and we work with an independent third party to test the air and ensure that the mold is removed. Natural disasters such as floods, fires, storms, and mold growth can cause extensive damage that can affect your home, furnishings, and personal belongings. This widespread damage can be difficult to deal with and finding your personal items damaged only adds to the stress and frustration of the situation. Many delicate items including clothing, electronics, jewelry, and others may even sustain permanent damage if they are not cleaned and restored fast enough. RestorationMaster provides content cleaning and pack-out services following any type of disaster in Long Island, NY. Our technicians can clean and restore all types of personal belongings on your property or take them to our facility with our pack-out services if your property has sustained extensive damage. The HVAC system plays a key role in keeping a home or building comfortable, but no one pays it much attention until there is a problem. As the HVAC system draws air into the air ducts, it also draws in airborne debris such as dirt, dust, pollen, and others. This debris builds up over time within the system, leading to a drop in efficiency and poor indoor air quality. RestorationMaster provides professional air duct cleaning services for homes and businesses in Long Island, NY. We can thoroughly remove debris buildup from the air ducts and internal parts for more efficient heating and cooling and cleaner breathing air. The carpeting is one of the most important furnishings in a home or office because it contributes to the comfort and look of a room. However, when a carpet becomes faded, stained, or damaged, it can make the space look dirty and poorly maintained. Visitors to your home or office may get the wrong impression if your carpet is dirty or in terrible condition. Consistent foot traffic causes dirt and debris to build up quickly in the carpet fibers, and much of this buildup is too deep to be removed with a regular vacuum cleaner. RestorationMaster provides professional carpet cleaning to remove embedded dirt and stains from carpeting in homes and commercial buildings in Long Island, NY. Our hot water extraction cleaning method will remove all embedded dirt and debris to restore the original appearance of the carpet.